Home/Content Marketing/What Makes a Great Content Plan? Working out how to create a content plan for your website is a difficult task, to say the least. How do you find great topics which your target customers will love? How do you make sure that all of your blog posts rank in Google? Don’t worry, we’re here to help! Skip right to our process! We’re going to show you exactly how to create a content plan (based on keyword research) which will increase your Google rankings and traffic to your site. A great content plan not only gives you a direction for your content but more importantly it brings traffic to your website, and traffic = LEADS! Our step-by-step guide will help you to make all your epic blog posts for the next 12-months! Create a custom report on the 12 best focus keywords to base your content around. Write SEO Optimized blog titles for the next 12 months. Find your related keyword pool for each blog post. Understand how to make your blog titles engaging. If you don’t have the time to create a content plan for yourself then why not let us do it for you? We guarantee our service will be delivered in two working days. Not only will you save yourself the hassle of spending hours searching for keywords and topics but you also get a great list of clickable blog titles! If you want to know more about how our service can benefit your business then check out our content marketing plan service. For those of you as excited about content planning as we are, check out our step-by-step guide below! Let’s get you up to date right away. Here you find an intro to all the tools that we use. Plus you get an explanation of a few terms which you might not know yet. You only need a few of these terms to create a successful content plan, but they are also useful for the related services such as the keyword research and ranking reports you need before you can create your plan. In particular pay attention to the different types of intent if you don’t know them already! Ahrefs resembles the functionalities of SEMrush. Besides keyword research, there are many other tools at your disposal. And you can only get suggestions from one national database once at a time. Its big advantage: It lets you extract all keyword research results, traditional and competitive, with just one click. You can write the most beautiful piece of content ever written, but if it doesn’t have a good title no one will ever read it. Getting your content read and ranking on Google is a totally different ball game. The title is the first thing a user reads, it’s what determines if they click through to the website or not. So, your title is the first step to having an SEO optimized blog article. You’re not just writing blog headlines, what you’re actually creating is a clear content strategy for the next year. Learning how to create a content plan now can save you a lot of time for the rest of the year. This way you can simply assign articles or work on them yourself without having to start each piece with hours of research. So let’s get started! Firstly you need to complete both a keyword research report and a keyword ranking report, check out our other blog articles to find out how to do this yourself. Keyword research is how we know our blog titles are going to be able to rank on Google. This is the most important step when creating a content plan. Once you have both of these reports you can organize your keywords check out the first page of our guide to help with this! Choose only relevant keywords and delete any which are unsuitable for a blog topic. Also, think about the search volume and keyword difficulty. In general, you want high search volumes and low keyword difficulties, choosing your keywords is a balancing act of these two key metrics. Short on time? Then we can help! Take a look at our keyword research report service which comes with our full guide to picking the best keywords for your business. 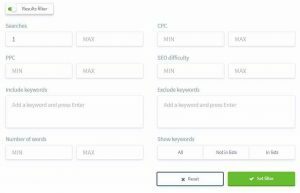 We can also provide you with your own keyword ranking report so you can see the strengths of your site and your current SEO difficulty. We even provide you with advice on the best keywords with high traffic potential for your niche. Once you have your ranking report and your list of organized keywords you can move on to the next step. The first thing you need to do is compare your list of target keywords with the data from the Keyword Ranking Report. Are there any keywords in your list you are already ranking for? Check your current blog posts, you don’t want two blog posts targeting the same keyword (which is what we call keyword cannibalization). So if you have a blog post which is ranking well with a focus keyword consider removing it from your list. If, however, you are ranking for a keyword but not ranking very highly then you might want to update a current blog post rather than creating a brand new one. Now you need to choose 12 keywords to base 12 blog posts around for the next year. Think about the goals of the website – are you trying to sell something with this blog post? Or are you trying to explain something? Look at your buyer personas, would your target audience want to read articles on these 12 topics? What question could you answer with a blog post around this keyword? Think about how you use Google, mostly we use a search engine to find an answer to a question. Think about the questions your target customers might ask and how you could answer them. Choosing the right keywords is a highly subjective choice. It depends on your niche and the search intentions of your customers. Use your common sense, would a blog post about that keyword be interesting to your audience? If two keywords are similar, consider if you need two separate posts or if you could possibly use both in one article? Long-form articles that cover many closely related topics and questions rank especially well nowadays, so keep that in mind. Not sure what search intents are? Check out our glossary at the beginning of this article to find out more! For a blog post you are mainly going to be ranking for informational keywords, however, you might find you can write an interesting blog post such as a review or a top 10 post with an investigational keyword. So delete any of your top keywords which are navigational and consider if there are any transactional keywords you could write a blog post about. For example ‘party furniture rental Tenerife’ would be a transactional keyword, but you could write an article about the best furniture rentals in Tenerife or the top tips for renting party furniture. Following this advice, you need to choose 12 keywords from your list. These are going to be the focus keywords for each of your 12 blog posts. 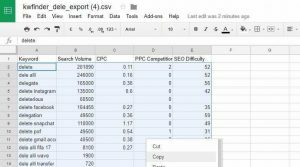 Once you have chosen your 12 keywords you need to put them into an Excel or Google Sheets document. Set up your document to have 12 focus keywords and space for your titles and notes for each one. You also need to add 12 sheets, one for the related keyword pool for each blog post. Now you have the 12 keywords you need to really think about the style of your website. Think about the language you’re using if the target audience is older, will they understand the title? If it’s a young audience is there a simpler way of saying it? Think about the articles you already have and what type of articles fit in with your style. When you’re writing the titles try to keep the keywords towards the start of the sentence as much as possible. Take a look at the graph of top headlines. These can give you some ideas for more ideas, try Title Generator which gives you a list of blog ideas with your keyword inserted. Since this is simply putting your keyword into titles you will find many of them don’t make sense, but you will also find lots of ideas. If you can’t get quite enough punch to your titles try Kickass Headlines. Be Accurate: don’t oversell your blog post. This will just lead to unhappy readers and a bigger bounce rate. So be realistic about the content you can write. Be precise: keep your title short but also make sure you know exactly what the article is about just by reading the title. Most titles should focus on one fundamental idea which the article will answer. Problem solve: think of what problem a reader could solve by reading this article. People are far more likely to read an article if they think it can directly help them. Make it punchy: you want your headline to get noticed. It can’t just blend into the background of the list of articles on Google. Use strong language. 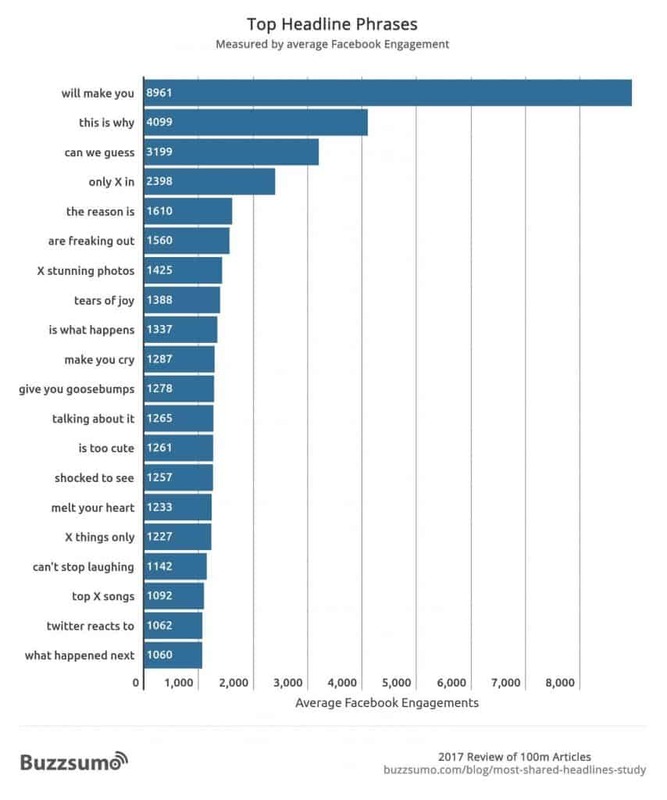 Words like hate and love help to get clicks. Try alliteration or just try and put some personality into your headline. Think about the headlines you see on social media and what makes you personally decide to read an article. If you’re really stuck for a headline then this article gives 11 different blog title generators so you should be able to find good use of your keyword here. For each blog title, you should also consider ideas on how to make the post engaging for your audience. For example, you might create a title which is clearly for a listicle style article or you might see a good opportunity for video content. For each article title, come up with a few suggestions of what you want to include. This way when it comes to writing the post later down the line you’ve already got everything you need to get started without having to plan your post too much first! Now you have a list of 12 blog titles and the focus keyword for each one. However, one single blog post can rank for hundreds of keywords! So the last stage is to find a list of related keywords you should also try and include in your blog post. For each keyword, you need to put it into KWFinder or for a free tool use Ubersuggest. 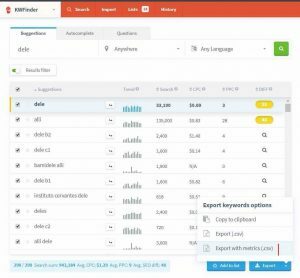 For each keyword type it into the keyword research tool. When the results appear, click on the results filter and set the Min search volume to 10 and the Max keyword difficulty to 50 (image 1). Then export your results as a CSV (image 2). Upload the file to Google drive (image 3) and open the document in Google Sheets (image 4). Then copy and paste your list into the relevant page of your Google Sheets or Excel document (image 5). Go through the list and delete any keywords you feel are irrelevant (you want a list of keywords that are relevant, with not too high keyword difficulty, with a high enough search volume and intent which is not navigational). At this stage, you might also want to highlight a few keywords which you feel are going to be the most relevant and useable in your blog post. Repeat this with each focus keyword. So there you have it! You should now have a complete list of 12 epic blog titles which are perfect to gain more traffic to your website. Don’t have the time to go through this whole process? Then let us do it for you! Our trained professionals can provide you with a clear content marketing plan to bring you more traffic for the next 12 months. Plus we’ll even give you ideas to make each of your posts more engaging! Feel free to get in touch with us via our service page, check out our full content marketing plan service today! Content is the key to getting better Google rankings, but how do you know what content your potential customers want to see? Save yourself the hassle and let us plan your next 12 months of content for you. We’ll choose 12 keywords to get you ranking in Google and even give you clickable blog titles, related keywords and tips on how to make your content more engaging!